Nuremberg, October 15, 2018 – Dr. Andreas Neus (47) took over the management of the GfK Verein on October 1, 2018. He succeeds Prof. Dr. Raimund Wildner, who retired on September 30, 2018. Dr. Andreas Neus is the new Managing Director of the GfK Verein since October 1, 2018. He has been working for the GfK Verein for five years, most recently as Deputy Managing Director. Andreas Neus headed the University Programs division and the Future & Trends research group, which examines the future of markets, market research and market decisions. In July 2018 Andreas Neus was elected Vice President of the GfK Verein. Before joining GfK Verein, Andreas Neus headed the Service Innovation Lab at the KIT's Karlsruhe Service Research Institute, where he focused on disruptive innovation in information-based business models and was the Media & Entertainment EMEA lead at IBM's think-tank "Institute for Business Value" in Amsterdam. Since 1999 he was responsible for managing innovation and transformation projects for media companies in Europe and North America. 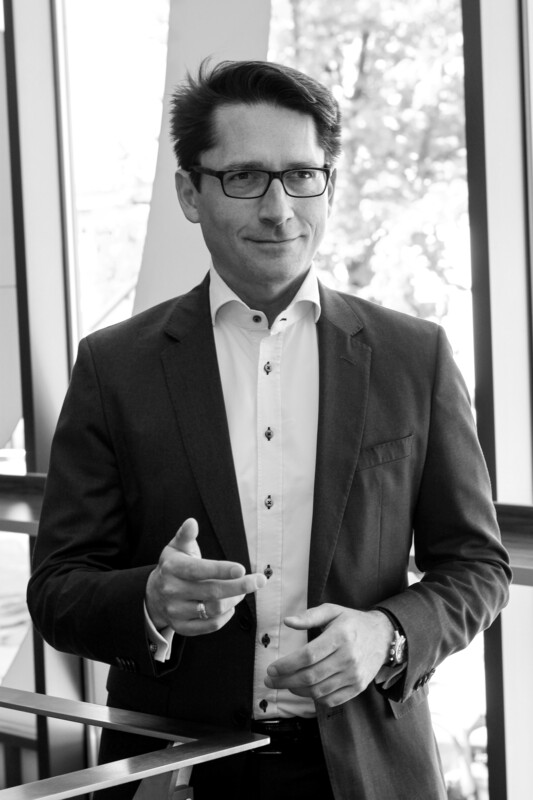 "Andreas Neus has many years of international project experience in the field of digitization and innovation - and over the last five years he has successfully promoted the GfK Verein in the areas of future research and academic cooperation. Thanks to his international network with other think tanks, he also provides the ideal qualifications for further setting the strategic course for the GfK Verein in the digital context, "explains Manfred Scheske, President of the GfK Verein. Andreas Neus follows Prof. Dr. Raimund Wildner, who had been managing director since 1995. Since 2005 he is Vice President of the GfK Verein. "We thank Raimund Wildner for his great merits as Managing Director of the GfK Verein. As a well-known market research expert, he has not only made name for the GfK Verein, but the entire market research industry - and that far beyond the borders of Nuremberg. We are therefore very glad that Raimund Wildner continues his membership of the Executive Board, "says Manfred Scheske. The GfK Verein is a nonprofit organization founded in 1934 to promote market research. It is comprised of 540 companies and individuals. An important purpose of the GfK Verein is to analyze the structures and developments in society and economy that are fundamental to private consumption - and to investigate their effects on consumers, markets and market decisions. Additional information at www.gfk-verein.org.